If you’re going to be having a wedding in the near future, the smart move would be to figure out a budget. And this is no small task believe me. So my suggestion to you would be take a very deep breath, and then take a look at this guide by Every Last Detail. Now every wedding is different so don’t be thrown off if your budget doesn’t quite fit into what’s shown to you. 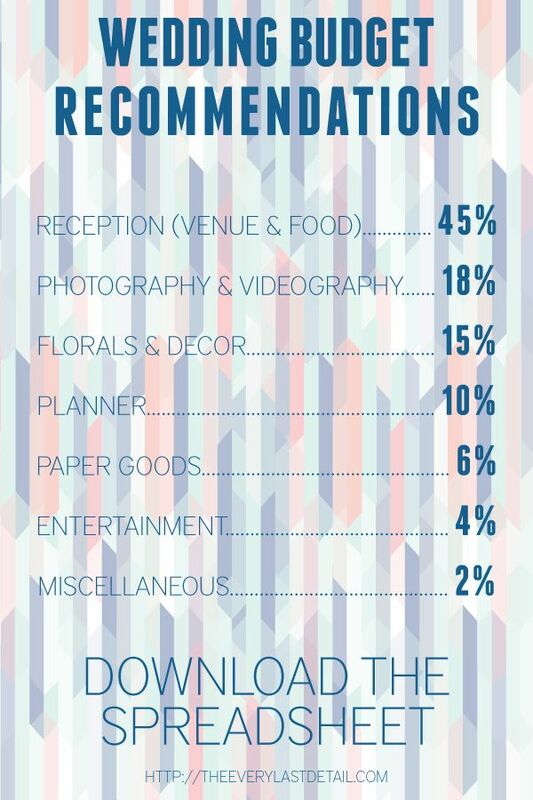 This is merely a guide to help give you an idea or a suggestion of how much you could spend on certain aspects of your wedding.